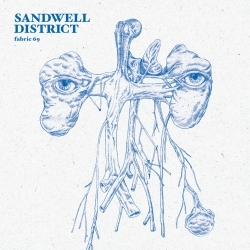 An original electronic disciple hailing from New York, Sandwell District’s David Sumner a.k.a Function presents his debut album ‘Incubation’ on Ostgut Ton. Like the soundtrack to a suspenseful Techno-thriller, or retro-futurist Sci-Fi tale, it’s a modern sound journey heavy on imagery. Over nine tracks we are guided through the varying moods and scenes of Function’s musical temperament. Be it through writhing layered club tracks, soaring string-led atmospheres, or melodic pieces founded on classic electronic traditions, ‘Incubation’ marks a new level of maturity for the Berlin-based producer. What begins as a lush and blossoming lesson in ambient synth arrangements, with the beautiful arpeggios and waveforms of ‘Voiceprint’, quickly drops off the apex and into the depths of Function’s filtering acid world as ‘Against The Wall’ unfolds. This metallic, acidic concept is explored further too, in the final moments of the album with the chilling ‘Psychic Warfare’. A spiraling, organic surge of warm synth tones and other-worldly arpeggios unravels itself in ‘Counterpoint’, acting as an early bridge between some of the drum-led studies that follow. And thus, the pressure increases. ‘Modifier’ presents itself with tight, snaking drum patterns and tense, late 90s kinetic warehouse energy. Opening a path into an alternate, yet not too distant dimension then, ‘Incubation (Ritual)’ takes form; it’s haunting and graceful waves of synths continue the Sci-Fi theme, while the tough modulating bass undercurrent reminds us of Function’s big-room Techno appeal. The final moments of ‘Incubation (Ritual)’ glide effortlessly into the album version of ‘Inter’, where ethereal melodies and snippets of spoken word surround a classic IDM-Deep-House core. ‘Voiceprint’ returns as a (Reprise) version, in what could become the crossover club track of the year. Coming on like a classic R&S or Soma release circa ’95, the undulating synths are now caught in a rapturous groove, urged on by a perfect 909 drum pattern and forward pushing, precise arrangement. Taking the minimalistic, hypnotising mantra of previous Function 12”s like ‘Isolation’ or ‘Burn’ to another level, ‘Psychic Warfare’ brings the voyage to a close, it’s overlapping, ebbing metallic acid tones inducing equal measures of tension and elation. In the CD version of the album, ‘Gradient I’ concludes the voyage. Earthy, modulating bass and 808 patterns merge as a cyclic, audio resolution occurs. With a final, intense atmospheric wash we find ourselves re-born, out in the ether, having witnessed an event of great weight and substance. In the final mixing stages of the album Function brought the material to cult engineer and producer Tobias Freund (NSI). Since 1980, working with the legendary Frank Farian, Freund’s skills helped bring acts like the controversial Grammy award-winning Milli Vanilli to fame, and he would pioneer early European Techno and Electronica through his Sieg Über Die Sonne project (with Dandy Jack). Function chose Tobias to do his work justice, and add his years of mix experience to this ambitious, succinct and artistic album. 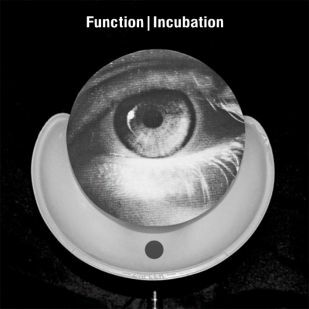 Bound in mysticism, forged through experience, ‘Incubation’ is a bold and powerful album from one of modern Techno’s key players. Inclined to hold back, rather than release too much, Function has let his sound develop and mature, fusing analog synths and drums with modern production techniques to create something unique and timeless.